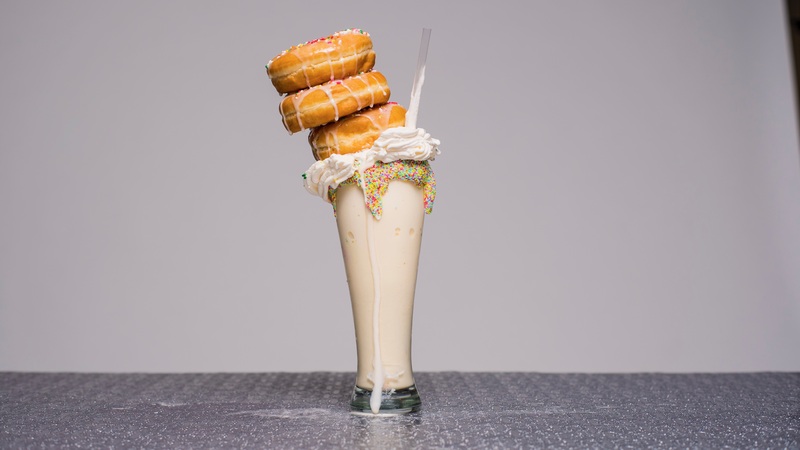 The doughnut milkshake at My Fair Sweets. What makes these shakes stand out is the goodness that spilleth over the glass, literally. The whipped cream and ice cream that drips down the side of the glass is encrusted with rainbow sprinkles, Nilla Wafers, chocolate, crushed Oreos, even mini chocolate chip cookies. The corresponding “crown” can be an entire red velvet cupcake, an ice cream cone, a hand full of cookies, or a stack of doughnuts. 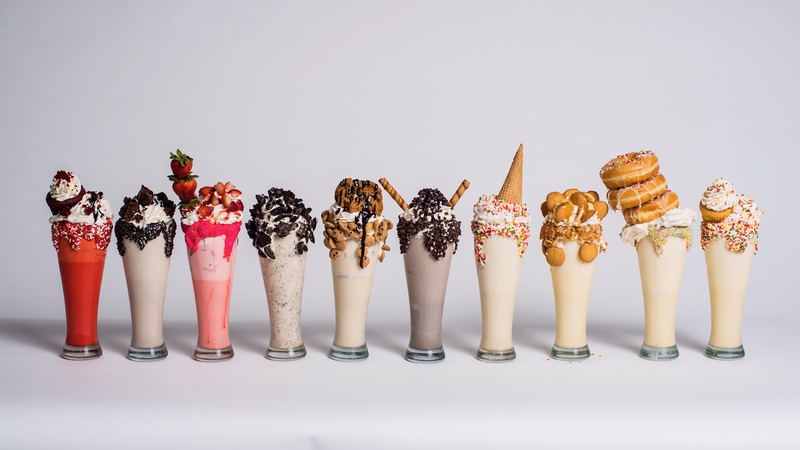 Keeping with the decadent theme, My Fair Sweets even offers a “Cheat Day Challenge,” where you have to finish a shake made with three doughnuts and a whole scoop of ice cream at the bottom of the glass. Many have failed or made themselves sick trying; only two have won the prize: a comped meal for everyone at your table. 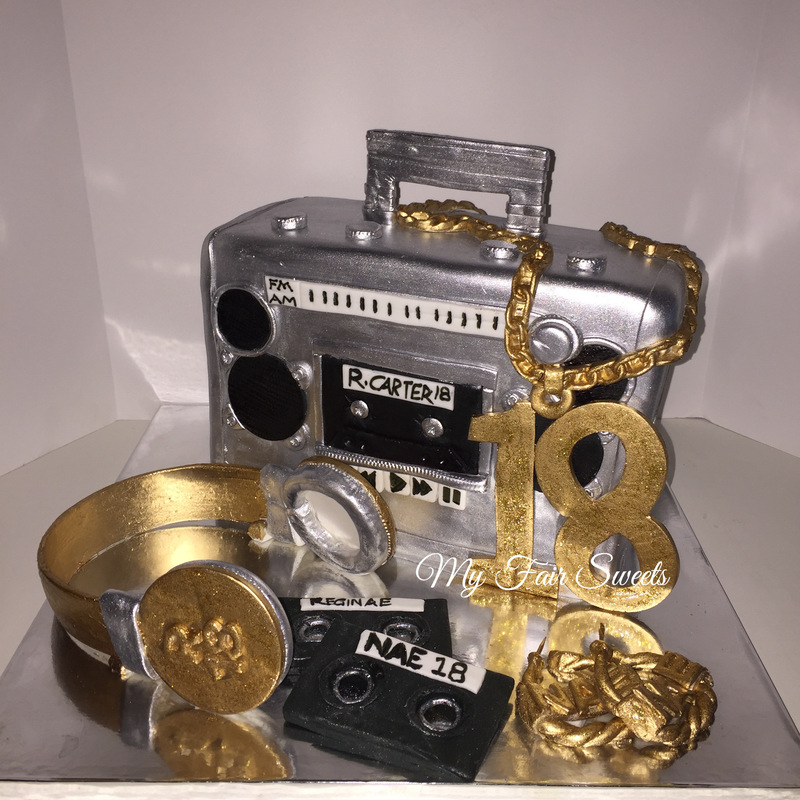 The cake Marie baked for Lil Wayne’s daughter. 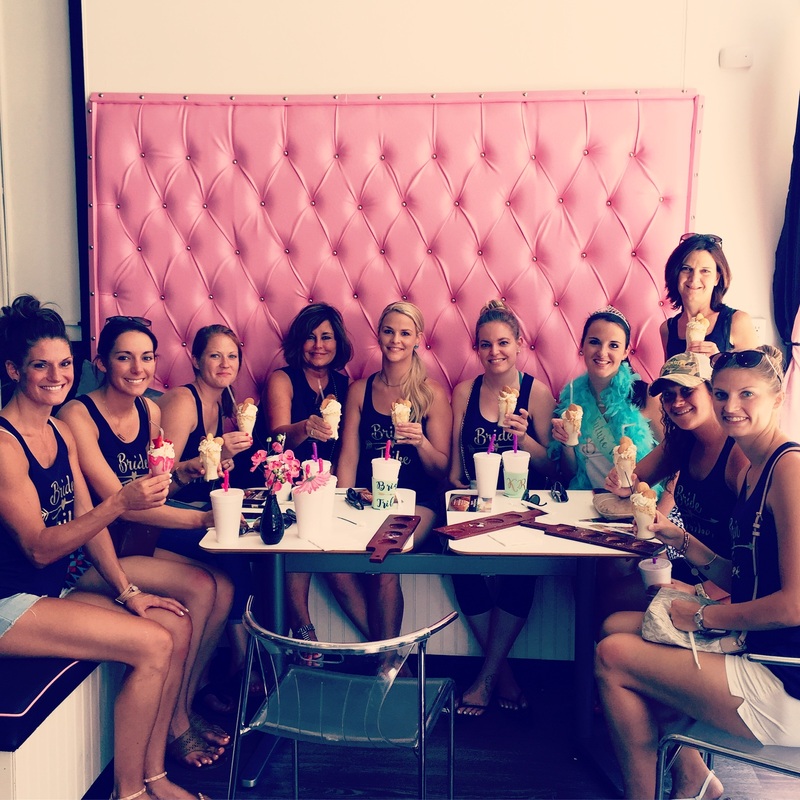 A party for a bride-to-be at My Fair Sweets.